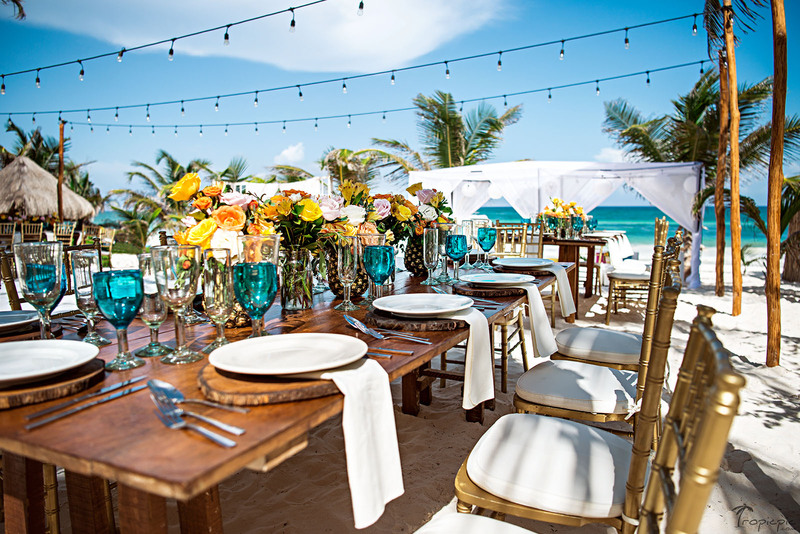 Tropical Tulum Destination Wedding in turquoise, orange and yellow color scheme took place at Akiin Beach club and celebrated true Mexican spirit and tradition rain or shine! 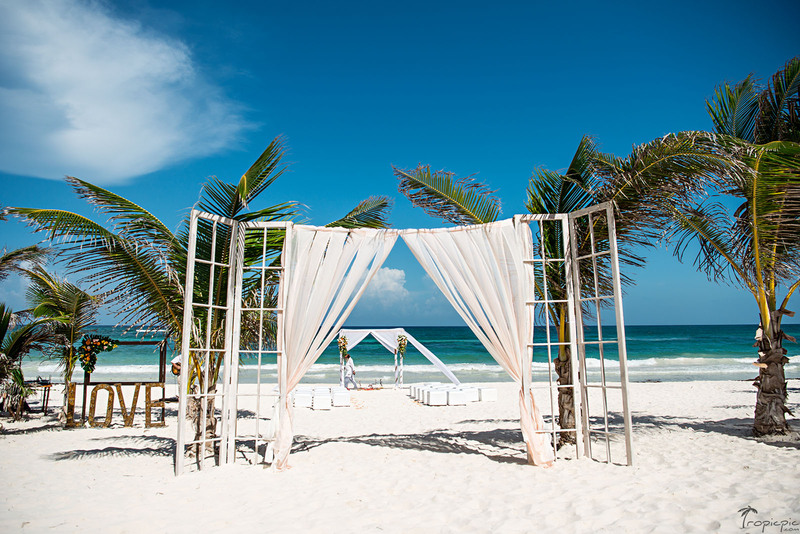 Tropical Tulum Destination Wedding in turquoise, orange and yellow color scheme took place at Akiin Beach club and celebrated true Mexican spirit and tradition rain or shine! 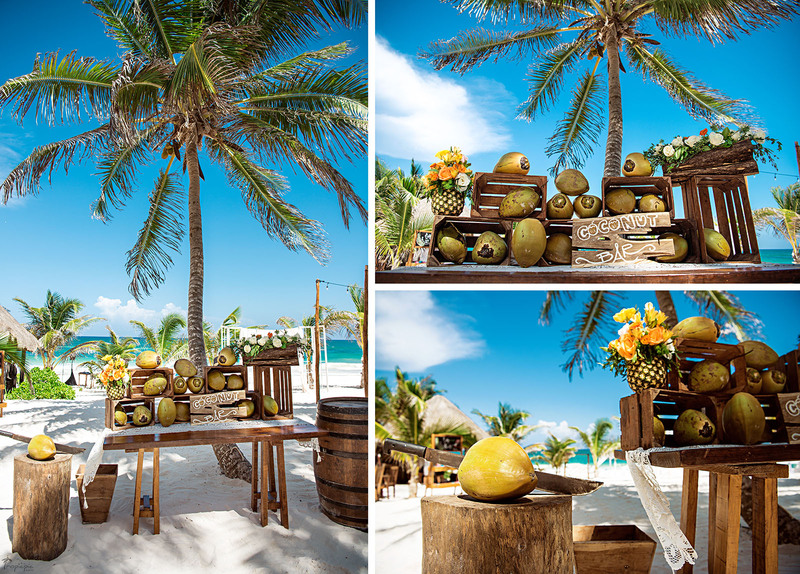 Pineapple was a common theme throughout this destination wedding in Mexico. 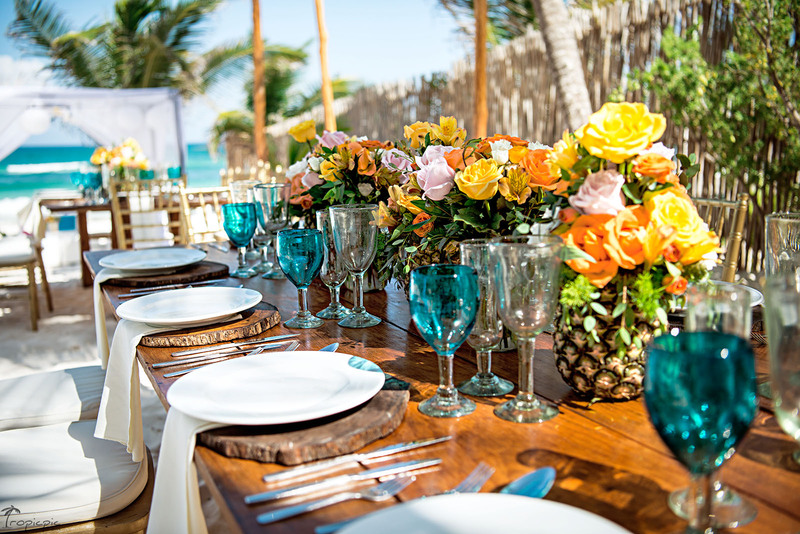 Pineapples filled with roses in orange, yellow and blush added vibrant energy to the rustic natural wood tables. 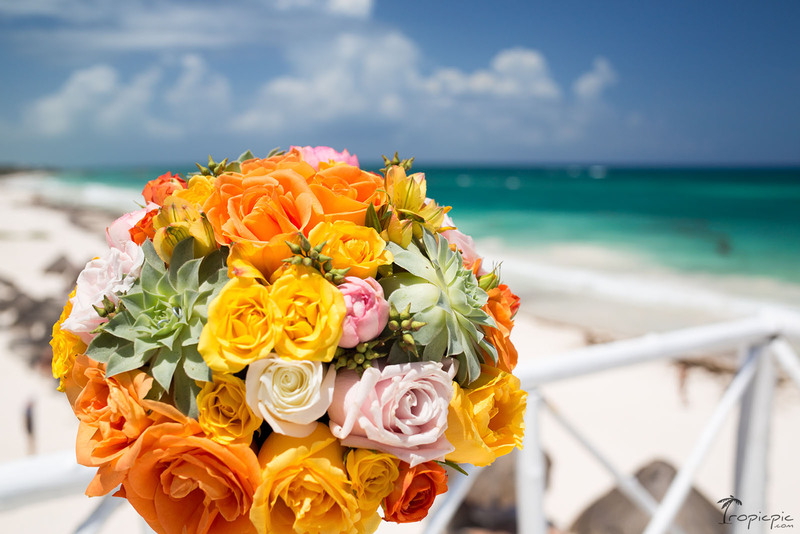 The bridal bouquet carried the same color scheme in combination with succulents and orange roses were also present in the decorations of the wedding gazebo. 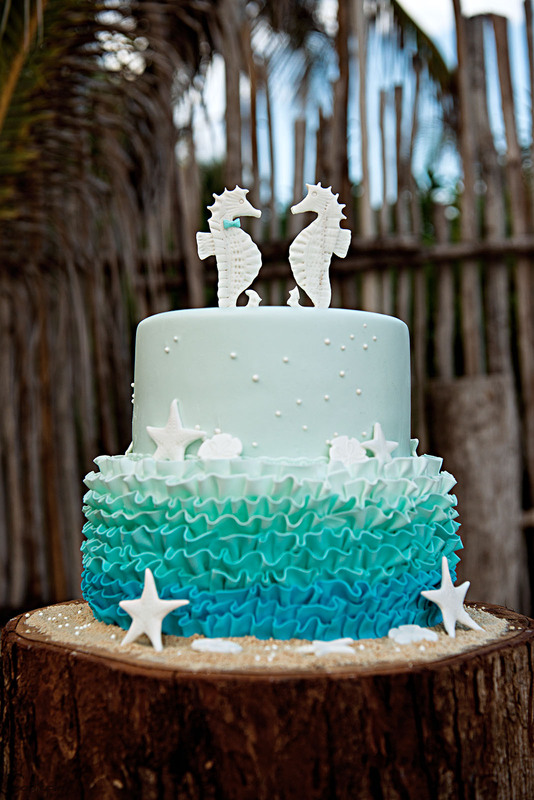 Touches of turquoise were used in water goblets and a delicious ombre cake, inspired by the gorgeous Caribbean Sea. 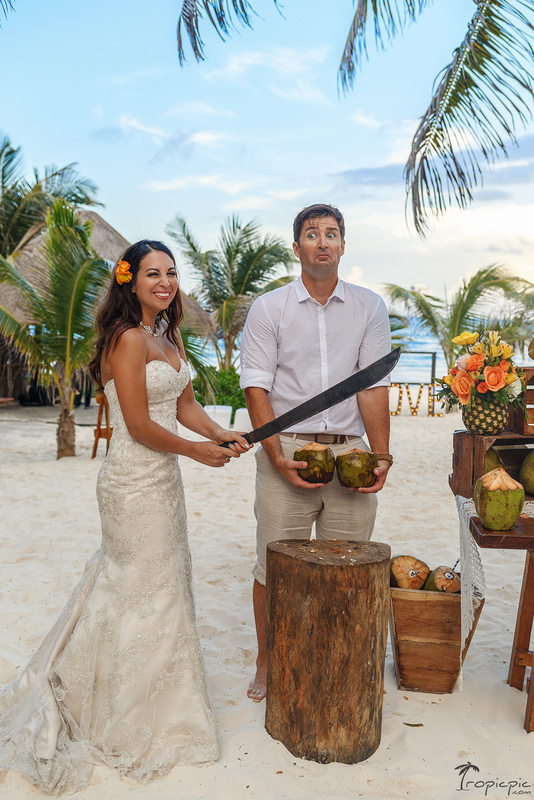 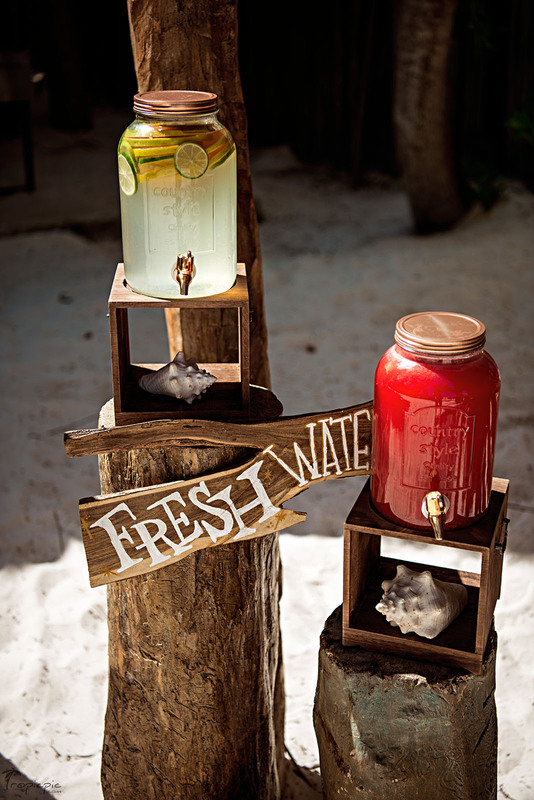 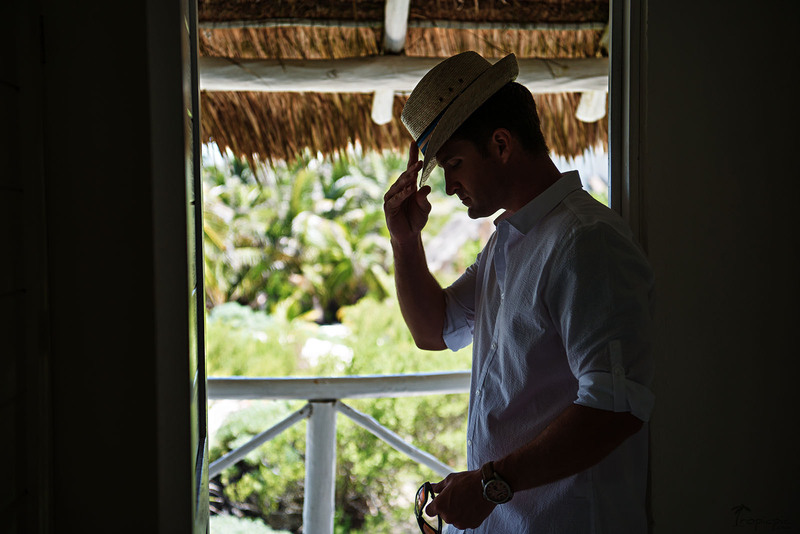 As the guests arrived they were welcomed with a refreshing Coconut from a rustic Coconut stand. 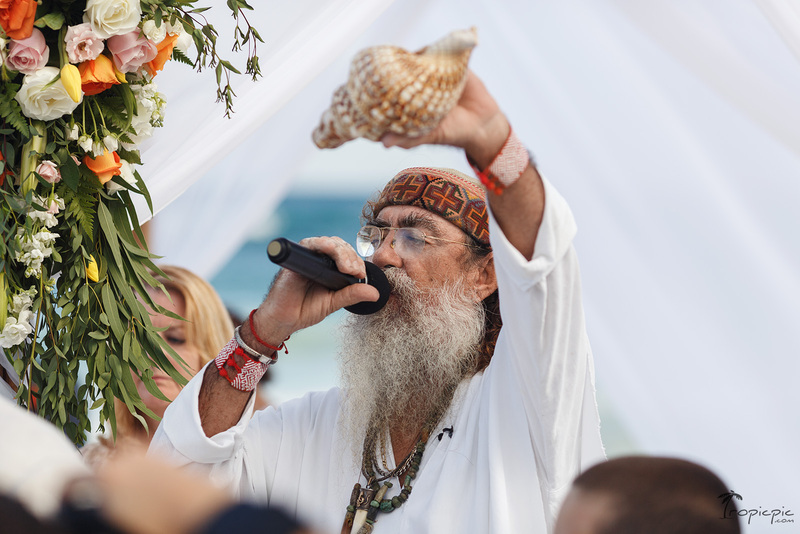 Cosmic wedding ceremony lead by the Shaman captivated the attention of all guests and moved everyone to tears. 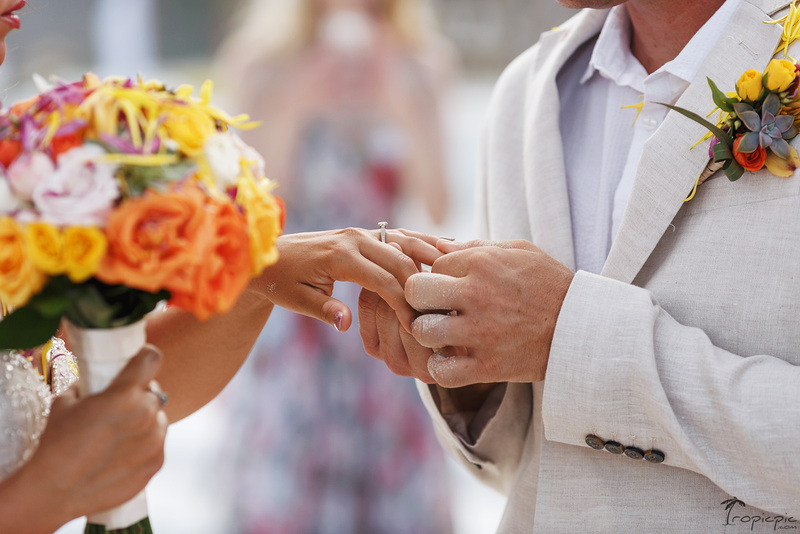 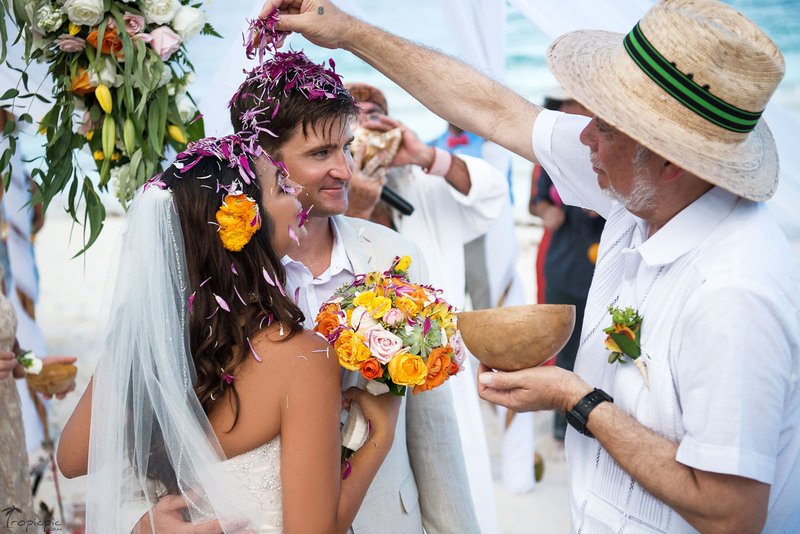 This one of a kind, spiritual ceremony, truly focused on the unity and deep love that our bride and groom have for each other. 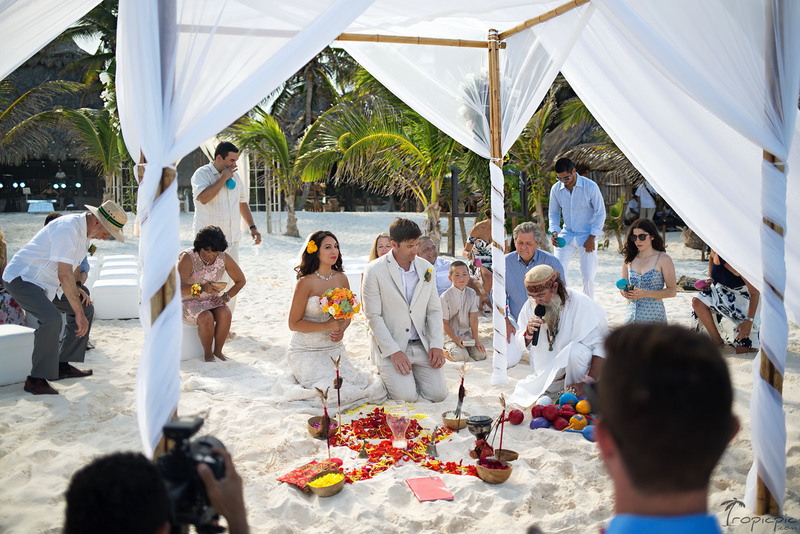 Colorful flower petals, maracas, copal burning and conch blowing kept the guests’ attention throughout the 40 minute long ceremony. 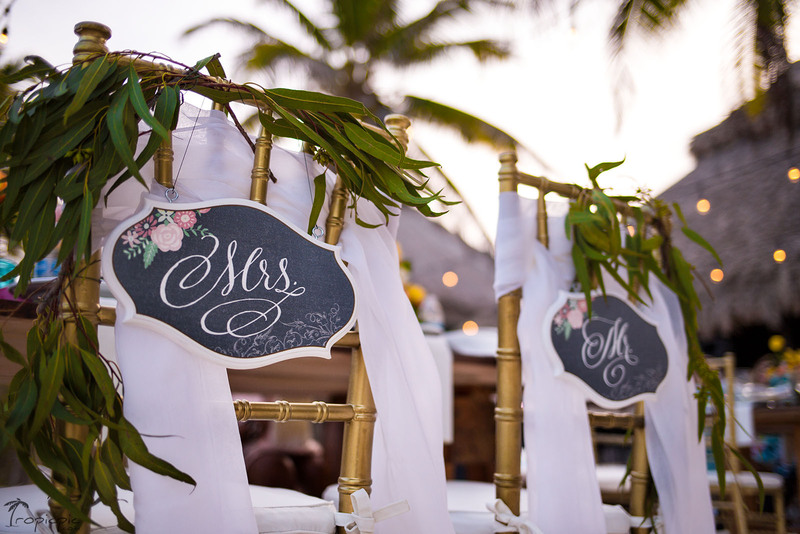 During the cocktail hour the guests were enjoying the pina coladas and margaritas while professional cartoonists created memorable sketches of all those who attended this destination wedding. 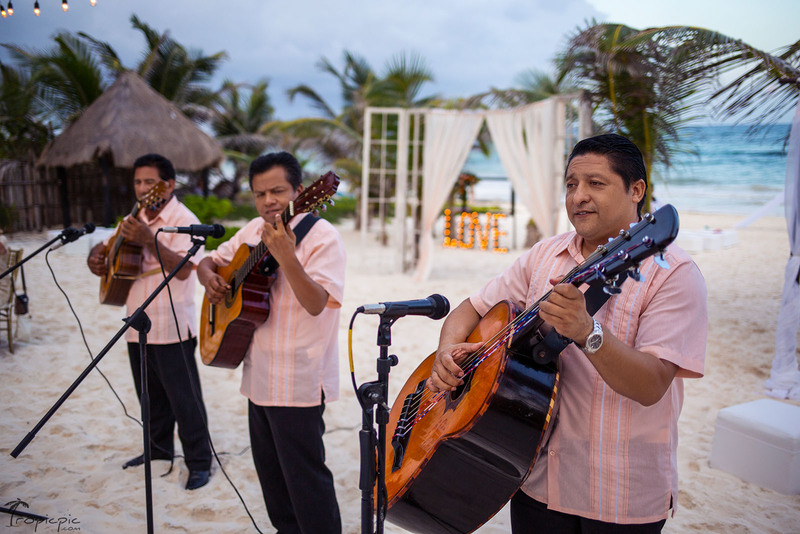 The surprises didn’t stop there: the reception dinner, a traditional Mexican buffet with a wide selection of delicious regional Mexican food including the handmade tortillas, was accompanied by romantic sounds of Bolero singers. 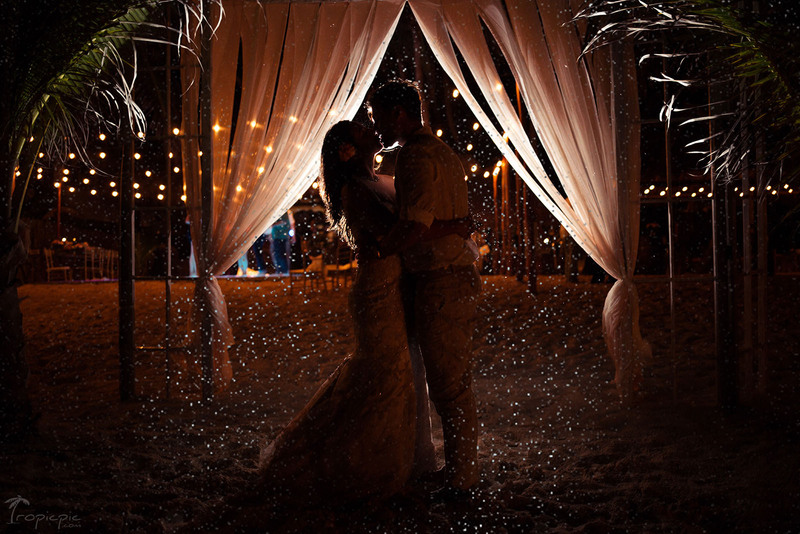 Although Mother Nature decided to shower the newlyweds with rain, it didn’t stop them from dancing the night away under the bistro lights. 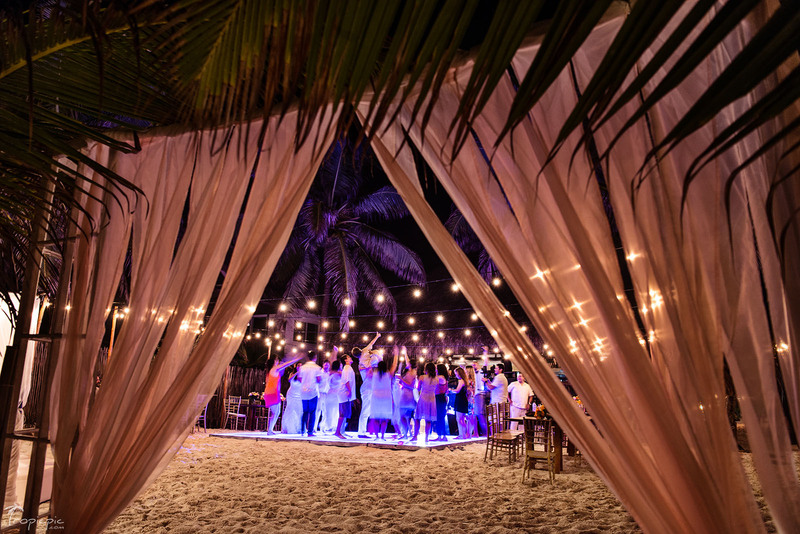 DJ Dulce made sure everyone was on the dance floor throughout the night. 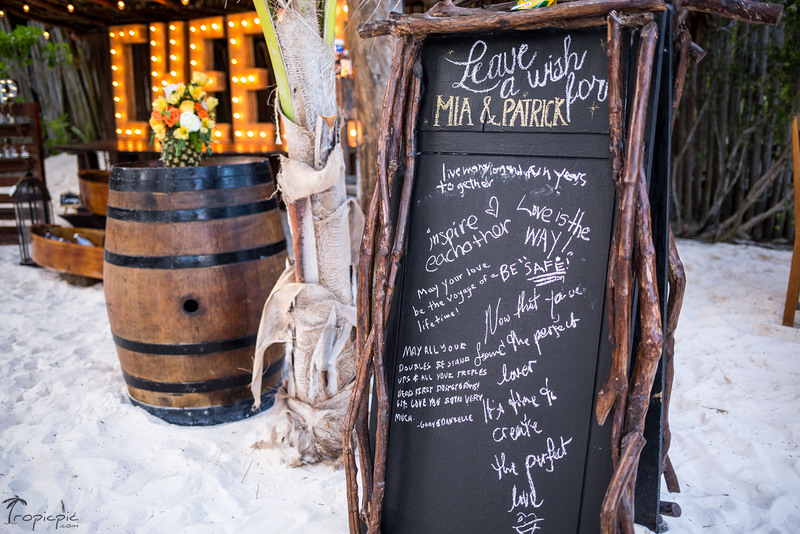 The team from Pic Me Photobooth kept the guests entertained while the rain was pouring down and everyone took away lots of fun photos that they will cherish for years to come. 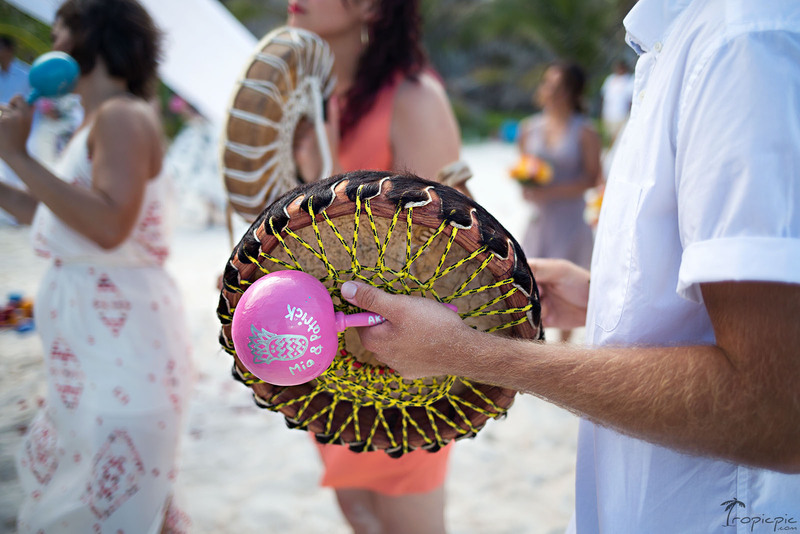 To keep the energy up, the guests were treated to Tacos and Churros as a late night snack. 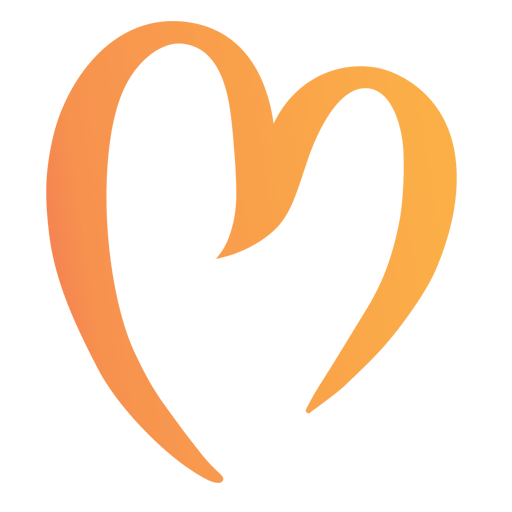 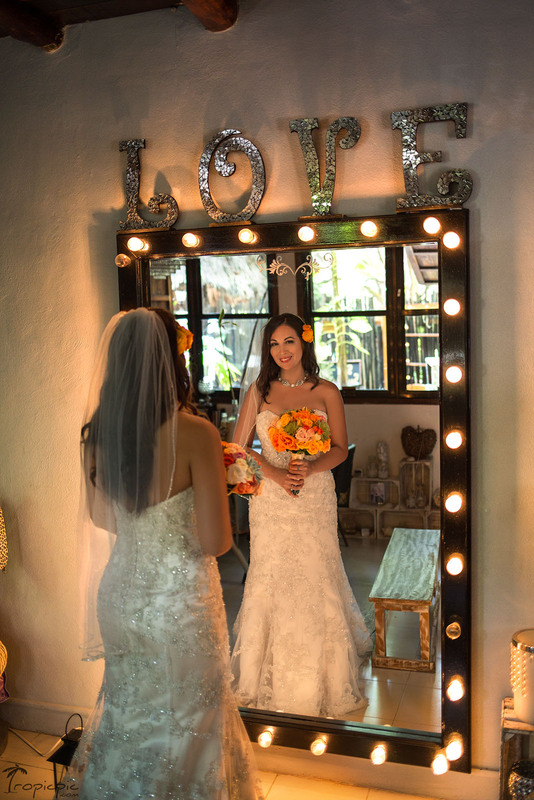 To pull her vision together, the bride contracted Full Planning and Coordination Services with Mango Weddings. 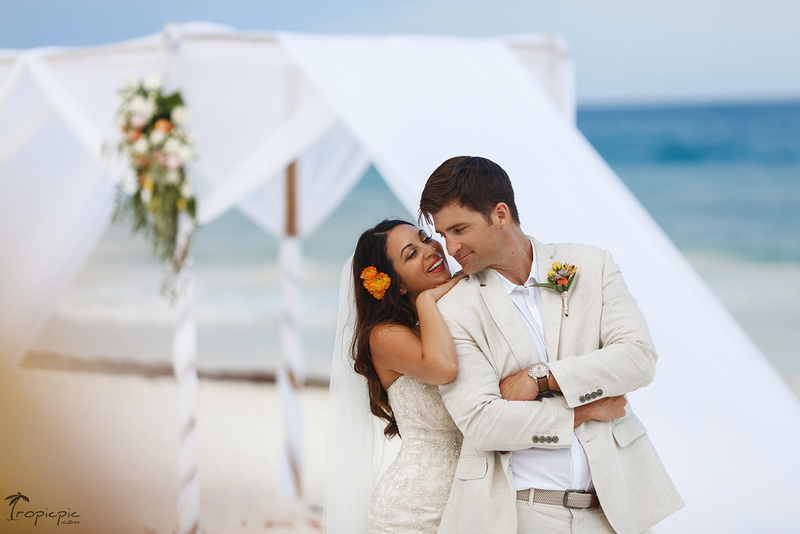 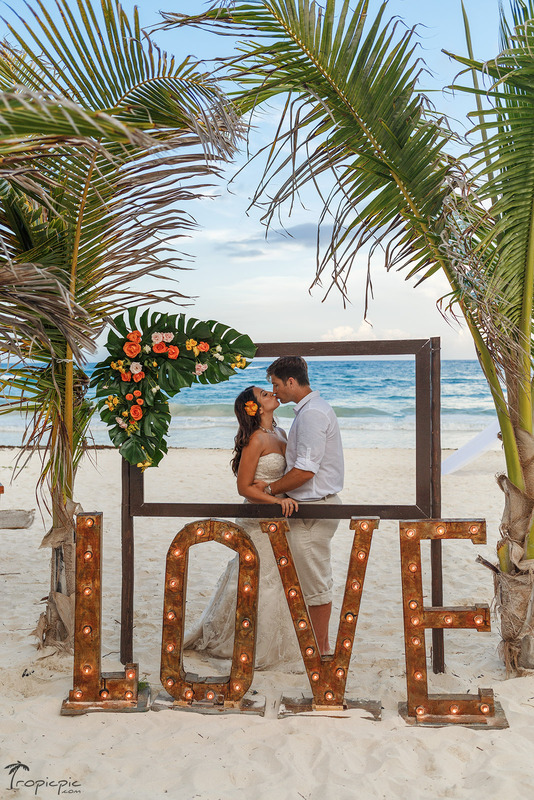 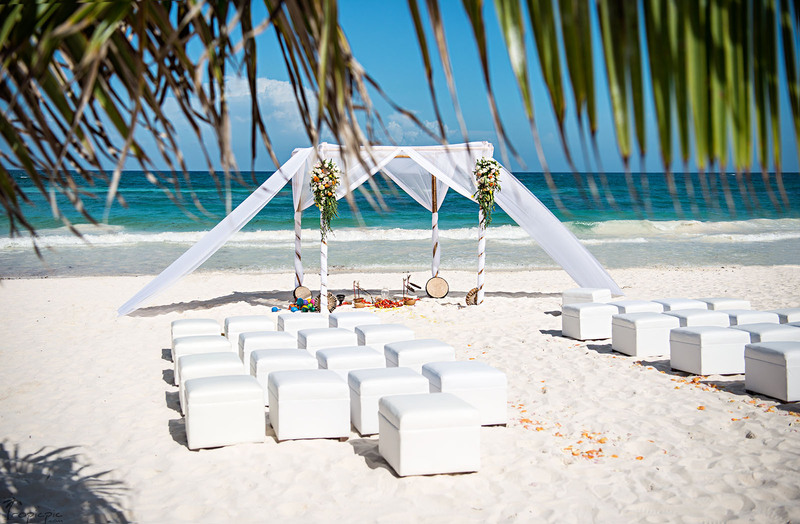 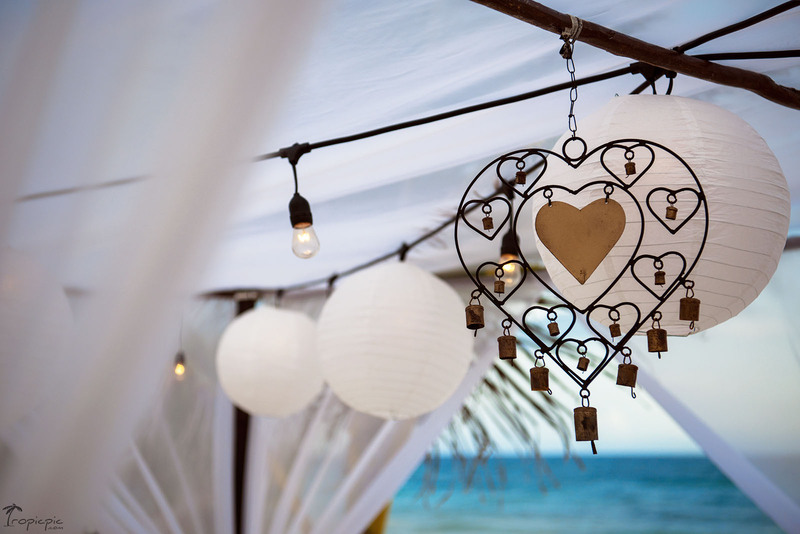 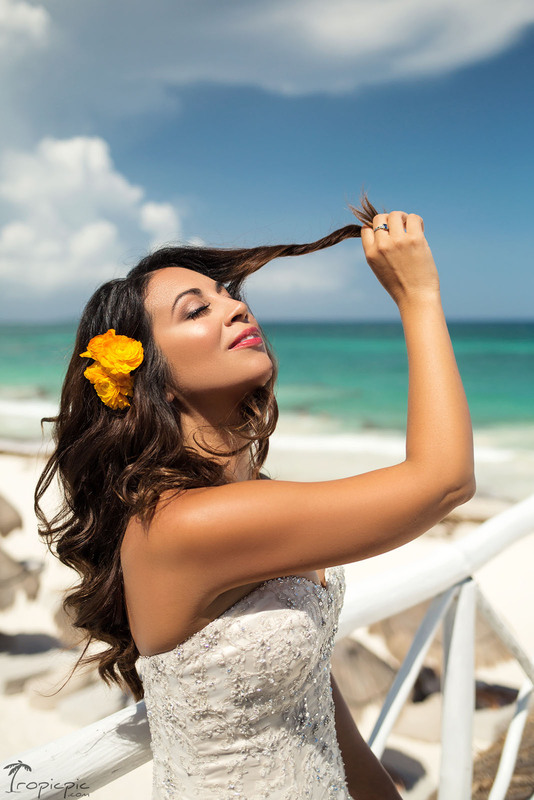 After nine months of planning, this Tropical Tulum Destination Wedding at Akiin Beach Club was a great success and a wonderful event to remember for the sweetest couple ever!